Categories: H, Taj Brands, used to treat inflammation of the skin. Tags: allergies, Barbiturates, carbamazepine, H, hydantoins, phenobarbital, used to treat inflammation of the skin. Treating severe allergies, arthritis, asthma, multiple sclerosis, and skin conditions. It may also be used for other conditions as determined by your doctor. Hydrocortisone Acetate is a corticosteroid. It works by decreasing or preventing tissues from responding to inflammation. It also modifies the body’s response to certain immune stimulation. This may not be a complete list of all interactions that may occur. Ask your health care provider if hydrocortisone acetate may interact with other medicines that you take. Check with your health care provider before you start, stop, or change the dose of any medicine. Use hydrocortisone acetate as directed by your doctor. Check the label on the medicine for exact dosing instructions. • Take hydrocortisone acetate by mouth with or without food. If stomach upset occurs, take with food to reduce stomach irritation. • Do not suddenly stop taking hydrocortisone acetate. You may have an increased risk of side effects (eg, seizures). If you need to stop hydrocortisone acetate or add a new medicine, your doctor will gradually lower your dose. • If you miss a dose of hydrocortisone acetate, take it as soon as possible. If it is almost time for your next dose, skip the missed dose and go back to your regular dosing schedule. Do not take 2 doses at once. Ask your health care provider any questions you may have about how to use hydrocortisone acetate. Severe allergic reactions (rash; hives; itching; difficulty breathing; tightness in the chest; swelling of the mouth, face, lips, or tongue); black, tarry stools; changes in menstrual periods; chest pain; eye pain or increased pressure in the eye; fever, chills, or sore throat; joint or bone pain; mood or mental changes (eg, depression); muscle pain or weakness; seizures; severe or persistent nausea or vomiting; stomach pain or bloating; swelling of feet or legs; unusual weight gain or loss; vision changes; vomiting material that looks like coffee grounds. • Hydrocortisone Acetate may cause dizziness. These effects may be worse if you take it with alcohol or certain medicines. Use hydrocortisone acetate with caution. Do not drive or perform other possibly unsafe tasks until you know how you react to it. • Hydrocortisone Acetate may lower the ability of your body to fight infection. Avoid contact with people who have colds or infections. Tell your doctor if you notice signs of infection like fever, sore throat, rash, or chills. • If you have not had chickenpox, shingles, or measles, avoid contact with anyone who does. If you are exposed to anyone with chickenpox or measles, contact your doctor right away. • Carry an ID card at all times that says you take hydrocortisone acetate. • Tell your doctor or dentist that you take hydrocortisone acetate before you receive any medical or dental care, emergency care, or surgery. • Long-term use may cause cataracts, glaucoma, and eye infections. Contact your doctor right away if you develop any unusual changes in your vision. 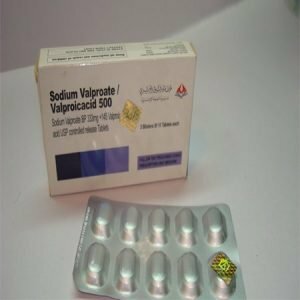 • Hydrocortisone Acetate may cause an increase in blood pressure, salt and water retention, and calcium and potassium loss. Talk with your doctor to see if you need to decrease the amount of salt in your diet or take a calcium or vitamin D supplement. • Do not receive a live vaccine (eg, measles, mumps) while you are taking hydrocortisone acetate. Talk with your doctor before you receive any vaccine. • Diabetes patients – Hydrocortisone Acetate may affect your blood sugar. Check blood sugar levels closely. Ask your doctor before you change the dose of your diabetes medicine. • Lab tests, including blood electrolytes, blood calcium levels, blood pressure, and vision tests may be performed while you use hydrocortisone acetate. These tests may be used to monitor your condition or check for side effects. Be sure to keep all doctor and lab appointments. • Caution is advised when using hydrocortisone acetate in CHILDREN; they may be more sensitive to its effects. 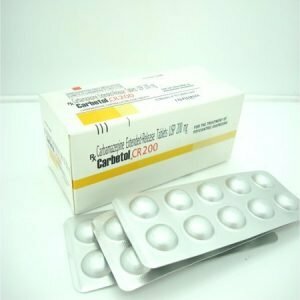 • Corticosteroids may affect growth rate in CHILDREN and teenagers in some cases. They may need regular growth checks while they use hydrocortisone acetate. • PREGNANCY and BREAST-FEEDING: If you become pregnant, contact your doctor. You will need to discuss the benefits and risks of using hydrocortisone acetate while you are pregnant. It is not known if this medicine is found in breast milk. If you are or will be breast-feeding while you use hydrocortisone acetate, check with your doctor. Discuss any possible risks to your baby. • If you have any questions about hydrocortisone acetate, please talk with your doctor, pharmacist, or other health care provider. • Hydrocortisone Acetate is to be used only by the patient for whom it is prescribed. Do not share it with other people. TESACORT (Hydrocortisone Acetate )5mg Tablets – TAJ PHARMA | Treating severe allergies, arthritis, asthma, multiple sclerosis, and skin conditions. It may also be used for other conditions as determined by your doctor.Hydrocortisone Acetate is a corticosteroid.